We have now added a ReportBuilder option to the Omniscope DoubleClick connector in the latest version of Omniscope 2.9 (264). The DoubleClick connector now allows you to choose whether you want to run a report from either Report Central (old) or Report Builder (new). 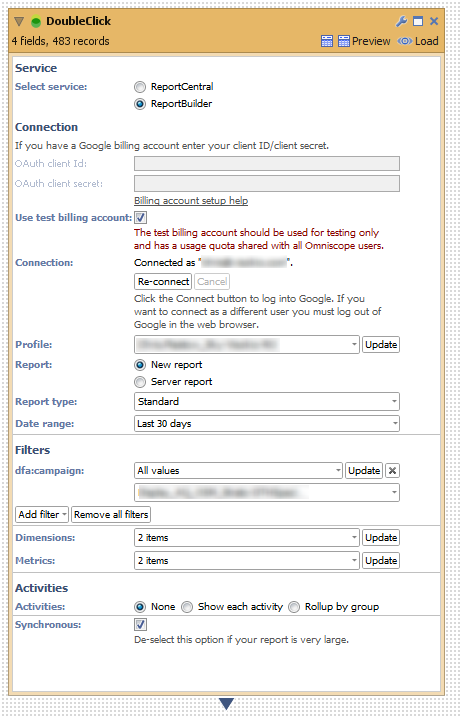 In the Report Builder options we have tried to replicate the web interface. We have currently implemented 3 reports (Standard, Floodlight and Path to conversion). 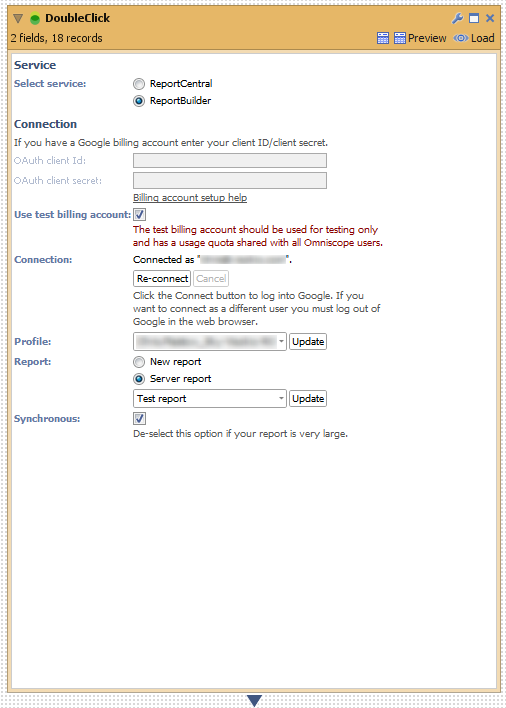 We have also added the ability to download a pre-existing server report, so you can configure a report in the web interface and download it into Omniscope. We would be interested in any feedback you have. Please let us know if you have any problems using the connector or if there is any additional functionality (for example additional reports) you would like to see. What's the link to download 2.9?